Hand made and smoked in our Wanniassa store, we use only lean grain-fed Topside Steak and the finest fresh ingredients to create Australia's Best Beef Jerky & Biltong....probably. Now posting free & fast Australia wide! Interstate customers: please note due to a high number of interstate scam orders we have received, there will be no refunds, replacements or re-sends to interstate customers. Please make sure your shipping details are correct. Please do not order if you do not agree to our interstate shipping terms. Hand-made and smoked in-store in our gourmet smokehouse. 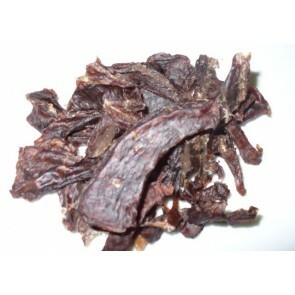 The original marinated and smoked premium beef jerky American style. Please note - to take advantage of our generous quantity discounts and choose multiple flavours, we recommend purchasing the mixed jerky selection and choosing your flavours from there. Storage: Please keep in a covered but open air bag or container to avoid moisture and mould, do not refrigerate. If you plan to keep your jerky for an extended period of time (more than 2 weeks) please keep in the freezer and pull out a day or two before you plan on eating it. All hand-made and smoked in-store in our gourmet smokehouse. See pricing info for bulk discounts. Hand-made and smoked in-store in our gourmet smokehouse. 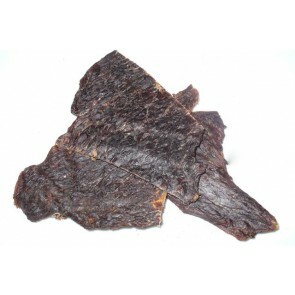 More than just extra smoke, this jerky has some extra secret ingredients. See pricing info for bulk discounts. Hand-made and smoked in-store in our gourmet smokehouse. 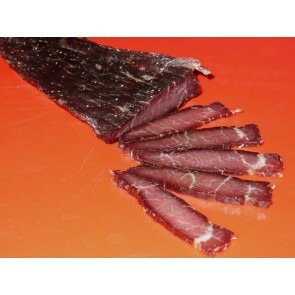 Thinly cut steak strips in our stock jerky marinade and smoked using special German beechwood smoking chips. See pricing info for bulk discounts. Please note: To take advantage of our generous quantity discounts and choose multiple flavours, we recommend purchasing the mixed jerky selection and choosing your flavours from there. 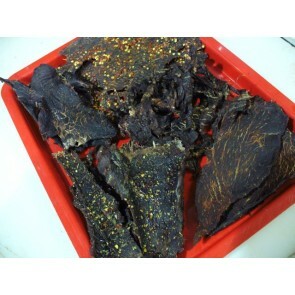 Our version of the famous South African biltong, we stay true to traditional recipes and techniques. 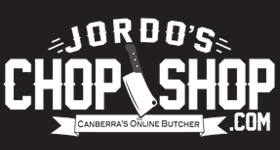 Our biltong has been regarded as one of the most authentic traditional biltong's available in the ACT and Australia wide through our online store. See pricing info for bulk discounts. 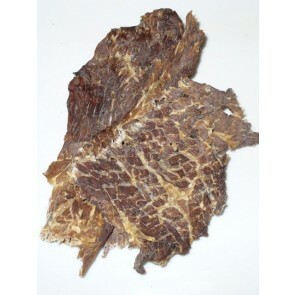 More about biltong - Biltong is much thicker than it's American cousin and is usually sliced into smaller pieces whilst eating. Biltong's main ingredients are coriander, red wine vinegar, brown sugar, pepper and salt, but after years of research and testing we've developed a very special recipe and technique that sets ours apart from the rest. Storage: Please keep in a covered but open air bag or container to avoid moisture and mould, do not refrigerate. If you plan to keep your biltong for an extended period of time (more than 2 weeks) please keep in the freezer and pull out a day or two before you plan on eating it.